At Wetlands Irrigation Inc. we guarantee all our work and use only top of the line Rain Bird sprinkler products. We believe our customers should receive the utmost support and service they require to ensure peace of mind with our irrigation products. Feel stress-free knowing your irrigation system is backed by a comprehensive Rain Bird warranty and will perform as originally designed. 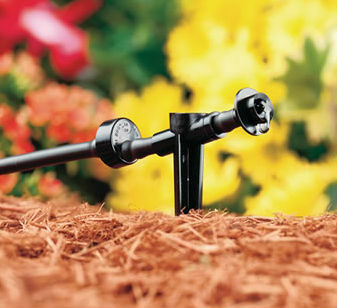 A three-year warranty on all Rain Bird sprinkler heads. A three-year warranty on the electric valves. A three-year warranty on the electronic timer and rain sensor. Our customer satisfaction is guaranteed. We will manicure all areas where work was done, to ensure a full recovery of your lawn and gardens. Click here for more information on Rain Bird’s Satisfaction Policy and Trade Warranty or contact us if you have questions about your warranty.